Tandy Shuck has been at Franklin College since 1993, when she joined the staff as Assistant Director of Counseling. 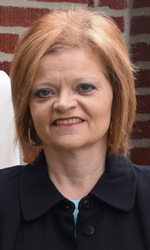 Tandy participated in Leadership Johnson County during the 2000-2001 program year and joined the staff in August of 2001. Tandy enjoys listening to music, crafting, and spending time with family and friends. She lives in White River Township with her husband Michael and their three children. 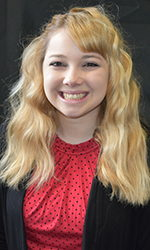 Kate Taylor comes to Leadership Johnson County after working in marketing and public relations at Johnson Memorial Hospital in Franklin, Indiana. Kate participated in LJC during the 2011-2012 class and began working in the assistant director position in the summer of 2012. Kate enjoys traveling, reading and spending time with her family. She and her husband Greg live in Trafalgar with their children Ella and Grayson. Courtney Foust joined the LJC team in January 2019 after working for Sans Souci, a United Way of Bartholomew County agency, where she focused on the areas of public relations, event planning and grant writing for the organization. Courtney is a 2018 graduate of Leadership Bartholomew County. 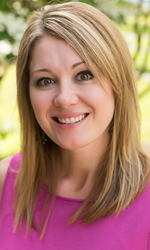 Courtney enjoys spending time outdoors, playing board games and being with family and friends. She and her husband Jon live in Franklin with their two cats.